Build dwellings and industrial buildings. Manufacture a variety of retail goods and deliver them to your sleek and enticing shopping malls. Set up a mass transit system to transport your city dwellers to parks, cinemas, stadiums and more. Make your city greener and healthier by recycling garbage, planting trees, upgrading buildings and adding hospitals and fire stations. Reward your happy, responsible citizens by organizing truly spectacular public events for them! Take your city to towering new heights! Construct well-designed Apartment Towers, an Eco Skyscraper, an Airport, a Stadium, a Casino, a Hangar, an Ice Castle and even a Shuttle Launch Pad. Get the Games Navigator – By G5 Games and keep up to date on all G5 games! Virtual City Playground®: Building Tycoon © 2011 - 2019 G5 Holdings Limited. Published by G5 Entertainment AB. 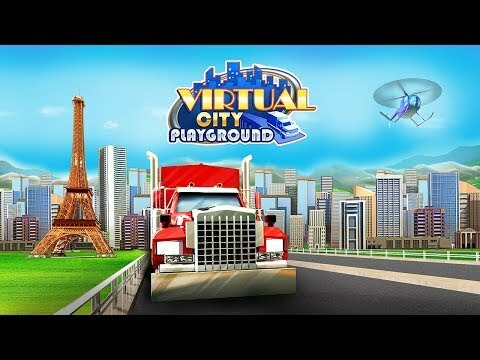 Virtual City Playground®: Building Tycoon, G5 Games and G5 Entertainment are registered trademarks of G5 Entertainment AB.